Do you want to talk about essential oils to grow your business but sometimes falter when someone asks you about a certain oil? Do you want a portable reference tool that helps you identify which essential oils may affect a particular body system? Are you losing business because you don’t have the information you need at your fingertips? Hi! My name is Kristine Hall and I am an essential oil Wellness Advocate just like you. 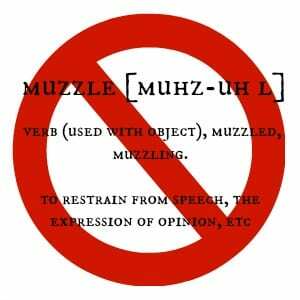 I was eager to share the wonderful benefits of essential oils with the world, but I felt muzzled by the current FDA regulations! Instead of letting this stop me, I decided to create a tool that enables ALL essential oil Wellness Advocates to share essential oils with confidence. Introducing the Wellness Language Toolbox! Easy-to-use info cards, beautifully formatted, 100% FDA Compliant! 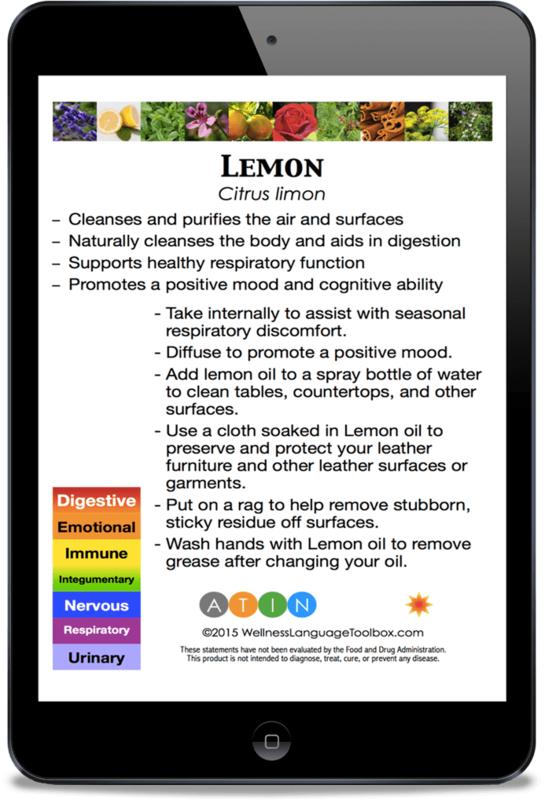 The Wellness Language Toolbox consists of 124 reference cards which can be printed on 4×6 cards or viewed electronically. FDA compliant language describing properties of the essential oil. FDA compliant language listing suggested uses. The Essential Oil Card Set also contains a usage symbol key card – very important! 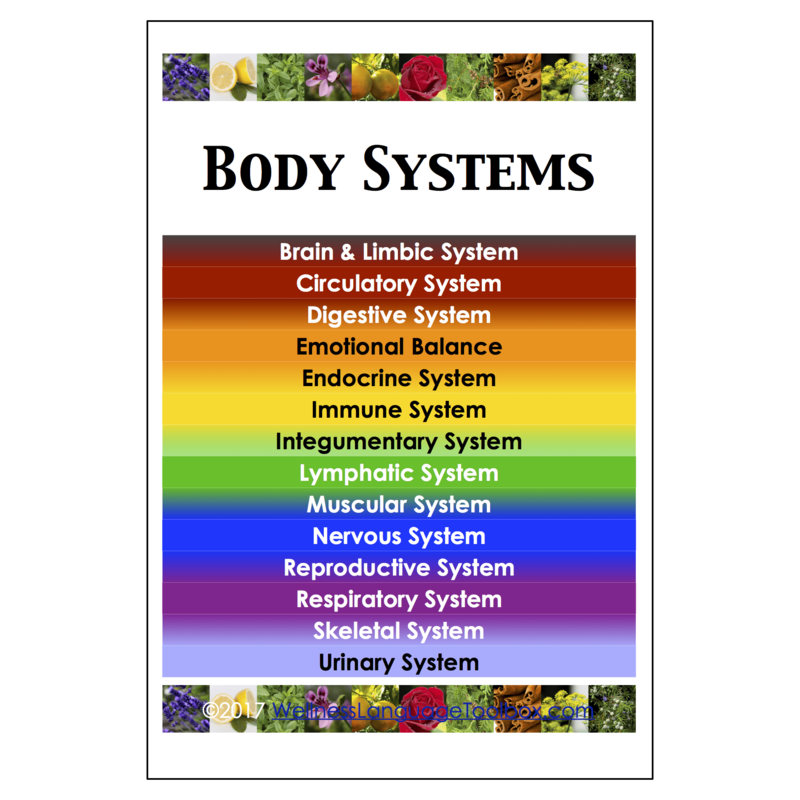 Each body system has two cards and is color-coded for easy reference in the corresponding Essential Oil Card set. 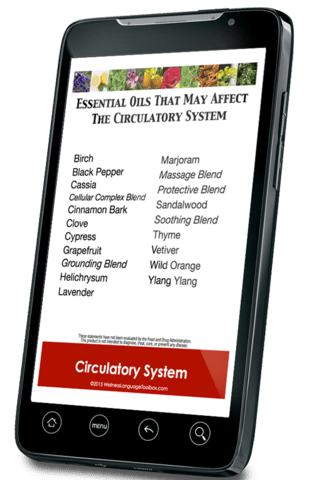 The first body system card displays a list of each essential oil (or essential oil blend) that may affect that body system. 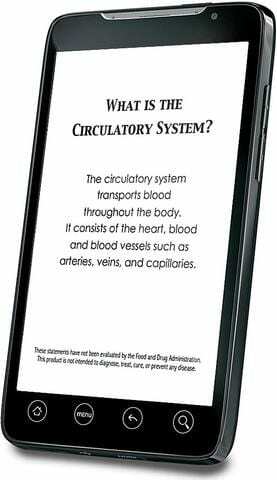 The second body system card contains a definition of the body system using key words and phrases for maximum search functionality. I know. You are right. The limbic system governs emotions, but I wanted to distinguish the emotional benefits of essential oils separately. That’s why I included Emotional Balance in this set as a body system. Since ‘Emotional Balance’ is such a broad topic, I’ve included a total of 7 reference cards addressing specific categories of emotions and the essential oils that may affect them. The Wellness Language Toolbox can be loaded onto all of the personal electronic devices that you use for viewing PDF files. Put one copy on your primary computer, one on your laptop, one on your tablet and one on your phone. You will want to have a copy of this wherever you go. Even though my phone screen is small, I can still read the information easily. With the Toolbox files loaded on your phone, you are ready to answer questions anywhere without requiring access to the internet or a data plan. If you are at your child’s ballgame and a friend asks you about Lavender, just look it up in the Toolbox file. You’ll have the list of benefits for Lavender Essential Oil at your fingertips along with basic usage information and body systems affected! If you want to learn about essential oils for something specific – say, the liver, for instance – you would enter ‘liver’ in the search box of your PDF reader while viewing the Toolbox. 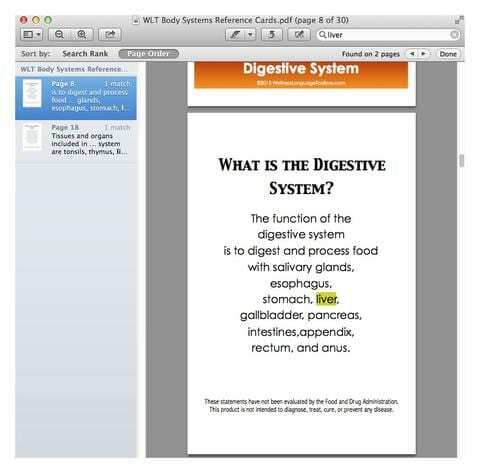 This search would provide 2 results: page 8 – the Digestive System, and page 18 – the Lymphatic System. From there you can narrow your search for essential oils that might provide the support you’re looking for. For ease of use, the cards are optimized for printing on a 4×6 index card or photo paper. 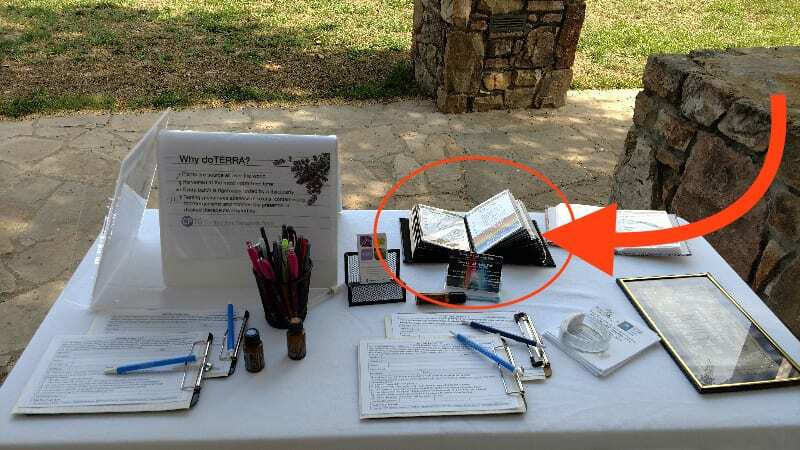 One customer, Elizabeth FW, printed the cards on 4×6 index cards and placed them in a photo album. Many customers access the Toolbox on their mobile devices – smartphones are the favorite! 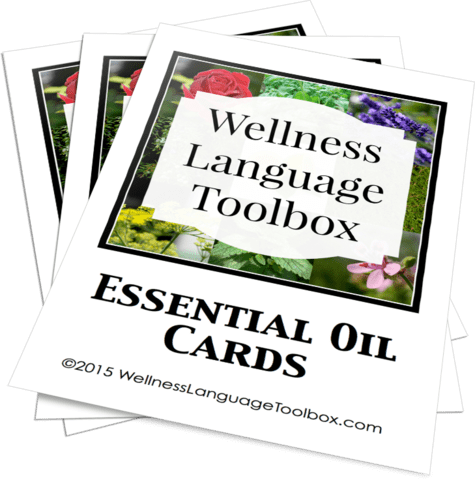 In a small group setting, you can pass around the printed Wellness Language Toolbox cards and let your class attendees discover the best oils for supporting specific issues. The Wellness Language Toolbox is an excellent reference tool for use during a Wellness Consultation with a new enrollee! The sky is the limit! There are many more creative ways for using the Wellness Language Toolbox to empower yourself and others with valuable information. With your purchase of the Toolbox, you may print as many copies as you want for use during your classes and for use in one-on-one conversations. 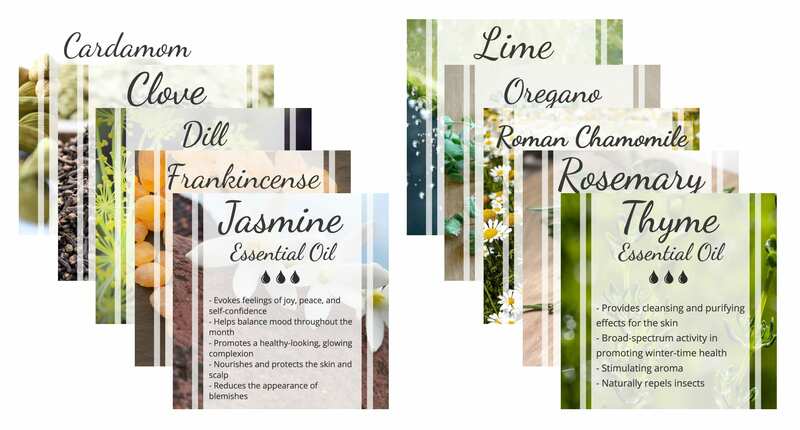 Gorgeous, Eye-Catching, Ultra-Clickable Social Media images for sharing oils! Using 100% compliant language of course! Included with your purchase, you get a set of 10 images to share on Facebook, Twitter, Pinterest, and more! All completely FREE! Not only is it available for this super low price, but you are covered by a rock solid, no questions asked, 30-day 100% money-back guarantee! Q: Will I get a physical card set in the mail? A: No. The Wellness Language Toolbox is currently a Digital Download only. This delivery method is the best way for us to provide timely updates to all of our customers at no additional cost. Since the initial product release in 2015, there have been 6 updates. The most recent version, WLT 1.5 was released October 2017. ZIP file containing the Bonus 10 Social Media images. (Along with .jpg’s of the individual images, for ease of use on mobile devices). The PDF file is optimized for printing on 4×6 index cards. This format also works very well for viewing on a smartphone or tablet. Q: Is this an app for my phone/tablet? A: No. Currently, this product consists of pdf files only. They can be printed or viewed on electronic devices. IMPORTANT: You will need a PDF reader app on your phone/tablet to view the file. Most devices come with one by default. If you need one, the Adobe Acrobat PDF Reader app works great. Q: Does this product make any disease claims? A: No. The Wellness Language Toolbox only refers to body systems, cosmetic claims, and structure or function claims. Q: Does this meet the requirements of the (Major Essential Oil Company)’s Compliance Department? A: Yes. I worked closely with both the compliance and marketing departments at my essential oil company. In order to fulfill the compliance requirements for educational materials, there are no trademarked names or images used in the Wellness Language Toolbox. The Toolbox adheres to the company’s guidelines for compliant language. The following disclaimer is displayed on nearly every page of the Toolbox: These statements have not been evaluated by the Food and Drug Administration. This product is not intended to diagnose, treat, cure, or prevent any disease.